Advanced Dental Specialists is now offering Dental Care Advantage to patients who do not have dental plans in Wisconsin. Patients 55 and older may also qualify for the Dental Care Advantage Senior Program. These discount programs provide savings on dental care, as well as on vision, hearing, and chiropractic care. Affordable: Plans as low as $5.95 per month, $4.95 per month for 55+ individuals. Easy Sign Up: Speak with an associate at your first visit and sign up in our office. Savings: Dental Care Advantage discount dental plans for Wisconsin patients of Advanced Dental Specialists save them 20% for all our services. For more information, please give your local office a call or check out the Dental Care Advantage website here: https://www.dentalcareadvantage.com/. 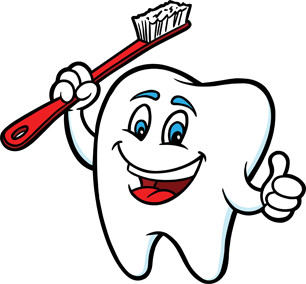 Dental Care Advantage is NOT a health insurance policy and the program does not make payments directly to the providers of health services. This program provides discounts at certain healthcare providers for medical services. The program member is obligated to pay the provider for all the health care services that the member will receive, but the member will receive a pre-negotiated discount from the providers listed in the network, in accordance with the specific pre-negotiated discounted fee schedule. This program does not guarantee the quality of the services or procedures offered by the providers. Discounts vary by provider. The Discount Medical Plan Organization that operates this program is American Dental Professional Services, LLC located at 9054 North Deerbrook Trail, Milwaukee, WI 53223. (Not available in the states of Alaska, California, Connecticut, Kansas, Montana, Nebraska, Nevada, New Jersey, Rhode Island, South Dakota, Utah, Vermont, Washington, and West Virginia.) This discount dental program cannot be combined with dental insurance. Discounts will vary by office/dentist. © 2019 Advanced Dental Specialists. All Rights Reserved.